Century Park Hotel, one of the finest hotels in Manila, is taking the Oktoberfest fanfare a notch higher by celebrating it for the rest of the ‘ber months: October, November and December. Oktoberfest is undisputedly the world’s famous beer festival. This tradition originated in Germany in 1810 and has since attracted a strong following. Fanatics of this cold malt drink as well as common folk alike join in on the revelry over endless bottles of beer and a galore of German food. The last three months of the year however are always eagerly-anticipated, with the coming of Christmas and the New Year, putting everyone in the most festive of mood. Time to celebrate! 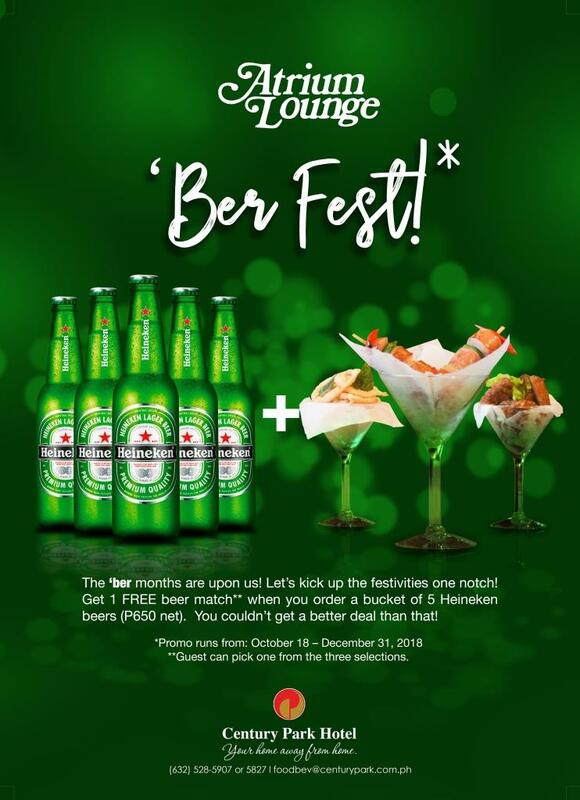 For only P650 net, Century Park Hotel guests can enjoy a bucket of 5 Heineken beers and pick one FREE beer match or pulutan. This offer is valid at the hotel’s Atrium Lounge from October 18 to December 31, 2018 only. 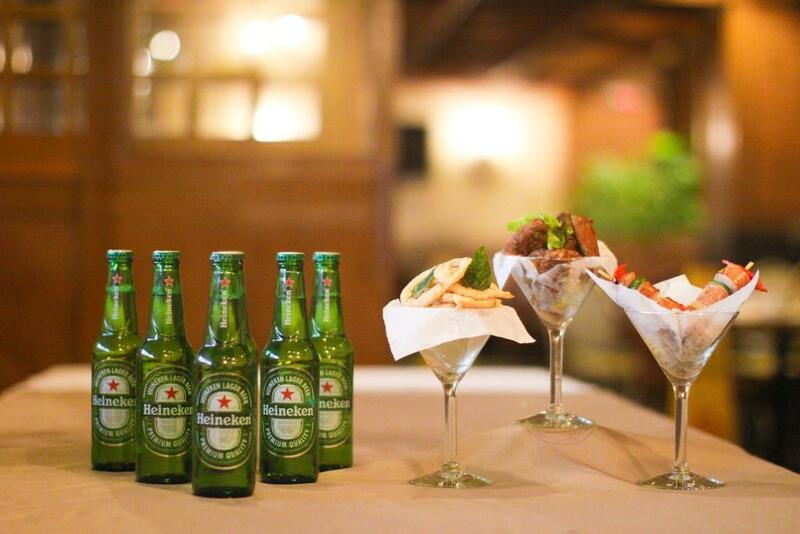 Treat yourself to some beers with the barkada while enjoying the soothing music of the Atrium Lounge singers. Century Park Hotel, located a the heart of Manila, is undoubtedly the best place to unwind after a long day.